His Royal Highness Prince El Hassan bin Talal is the 42nd generation direct descendant of the Prophet Mohammad (peace be upon him) through the male line of the Prophets grandson El Hassan. Prince Hassan's branch of the Hashemite family ruled in Mecca from 1201 (C.E.) until 1925 (C.E.). The Prince's great grandfather, Sharif Hussein bin Ali, Emir of Mecca and later King of the Hejaz led the Great Arab Revolt of 1916 against the Turkish colonial occupation of Arab lands, thereby freeing and creating the modern states of Hejaz, Syria, Iraq, and Transjordan. Sharif Hussein's second son, King Abdullah, founded the emirate of Transjordan on the 11th of April 1921. The Emirate assumed the name of the Hashemite Kingdom of Jordan upon formal independence from Britain on the 22nd of March 1946. Prince Hassan was born in Amman on the 20th of March 1947 to his father Prince (later King) Talal bin Abdullah and his mother Princess (later Queen) Zein El-Sharaf bint Jamil. He is the youngest brother of His Majesty the late King Hussein of Jordan (b. November 14th 1935, d. February 7, 1999) and H.R.H. Prince Mohammed (b. October 2nd 1940), and the older brother of Princess Basma (b. May 11th 1951). His Royal Highness underwent his primary education in Jordan before going to Summerfields Preparatory School - and then to Harrow - in England. He then went on to Christ Church, Oxford, from where he received a B.A. (Hon.) in Oriental Studies in 1967. He subsequently received his M.A..
On August 28th 1968, His Royal Highness married Her Royal Highness Princess Sarvath, who comes from a distinguished family of the Indian Subcontinent. Her late father, H.E. Mr. Mohammed Ikramullah worked closely with the founder of Pakistan, Mohammed Ali Janah, and was Pakistan's first Secretary of State for Foreign Affairs and many times an Ambassador. Her Royal Highnesss mother, Begum Shaista Suhrawardy Ikramullah, is a writer and the first female Member of Parliament in Pakistan, as well as an Ambassador. Moreover, Princess Sarvath's paternal uncle was Vice-President of India, and her maternal uncle was Prime Minister of Pakistan. Their Royal Highnesses have four children: Princess Rahma (b. 13 August 1969), Princess Sumaya (b. 14 May 1971), Princess Badiya (b. 28 March 1974), and Prince Rashid (b. 20 May 1979). 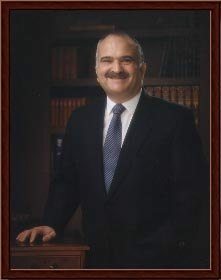 His Royal Highness Prince El Hassan served as Crown Prince of the Hashemite Kingdom of Jordan from April 1, 1965 to January 25, 1999. Throughout most of his life, he has served as His Majesty the late King Husseins closest political advisor, deputy and confidant, as well as Regent in his absence. His Royal Highness has also personally initiated and directed a number of Jordanian and international institutes and committees. In Jordan he has chaired the 1973-1975; 1976-1980; 1981-1985, and 1986-1990 National Development Plan Committees. In 1972 he founded the Royal Scientific Society; in 1978 the Bilad Al-Sham Conference; in 1980 the Aal Al-Bait Foundation; in 1981 the Arab Thought Forum; in 1982 the Forum Humanum (renamed, in 1988, the Arab Youth Forum); and in 1987 the Jordanian Higher Council for Science and Technology. He has also established and directed in Jordan, the Islamic Scientific Academy; the Biannual Conferences on the History and Archaeology of Jordan; the Hashemite Aid and Relief Agency; the Centre for Educational Development; the Centre on Refugees in Yarmouk University; and most recently, the new Aal Al-Bait University in Mafraq. On the International stage, His Royal Highness, in 1981, addressing the 36th Session of the United Nations General Assembly, proposed the establishment of a New International Humanitarian Order. This led, in 1983, to his founding and co-chairing the Independent Commission on International Humanitarian Issues (I.C.I.H.I. ), whose final report he presented in 1987 to the Secretary General at the 42nd General Assembly. In the field of religion, His Royal Highness initiated a series of contacts and meetings that evolved into a systematic Interfaith Dialogue. These consist primarily of three separate, albeit complimentary, ongoing consultations with the Orthodox Centre of the Ecumenical Patriarchate (Chambesy), the Pontifical Council for Inter-religious Dialogue (Vatican) and the Independent Commission on Christian Muslim Relations (Deanery of Windsor). His Royal Highness has paid official and working visits to numerous nations around the world and has received high decorations from over twenty countries. He holds the rank of Honorary General in the Jordanian Armed Forces and has been awarded Honorary Doctorates from universities in Jordan and abroad. Furthermore, in March 1987, His Majesty King Hussein conferred upon His Royal Highness the Al Hussein bin Ali Medal, which is Jordans highest decoration. His Royal Highness has written numerous published articles and several books, on political and regional issues, in various languages. These are: A Study on Jerusalem (1979), Palestinian Self-Determination; A Study on the West Bank and the Gaza Strip (1981), Search for Peace (1984) and Christianity in the Arab World (1995). His Royal Highness speaks fluent Arabic, English and French, has studied Hebrew, and understands German and Turkish. His Royal Highness enjoys and promotes many kinds of sport, including squash, scuba diving, swimming, mountaineering and skiing, and regularly plays polo, representing Jordan in international competitions. He holds a black belt fifth Dan in Taekwondo and he is a proficient helicopter pilot.